With the help of our Associate (Manufacturer) members, NIA has established the Premier Industry Manufacturer Program™. This program recognizes and distinguishes exemplary companies as industry advocates and leaders. Through this program, NIA’s Associate members demonstrate to customers that their company is a recognized leader amongst their peers. Available exclusively to NIA Member companies, this new program was developed to reward Associate members for their actions. The plan is to continue to develop the program to ensure it provides the most value to NIA’s Associate members and brings recognition from peers and clients. To learn more about NIA membership, click here. 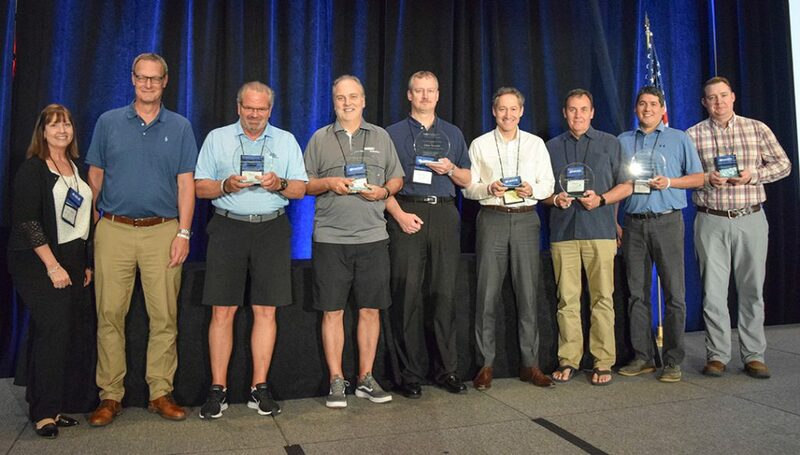 Congratulations to the 2019 Premier Industry Manufacturers! There is no cost to apply to the program, and NIA encourages all Associate member companies to apply. The deadline to apply for the 2019 calendar year is Thursday, May 23, 2019. NIA will track points (retroactively to January 1, 2019) for companies who complete the 2019 Application. A few of the activities require the individual member company to complete a tracking form in order to receive points for these activities in 2019. Please click here to download the tracking form. It must be completed and submitted to training@insulation.org by Tuesday, December 31, 2019. Manufacturers earn points for their participation and involvement in NIA, and for being members of regional associations. In most cases you will be able to earn points for things you are already doing (e.g., attending NIA events). Points will accumulate over a calendar year and are available through a variety of opportunities, including many no-cost options. Companies that reach a minimum of 175 points in the calendar year will be recognized as Premier Industry Manufacturers. If you have any questions regarding the program, please call the NIA office at 703-464-6422 or email training@insulation.org.